There was a report in interaksyon.com last April 6, 2015 on P15.5-billion coal-fired power plant in northern Negros proposed. For me, it is good news for the two Negros provinces and the Visayas grid. When that 150 MW coal plant starts operating a few years from now, it should help expand electricity supply for Negros Occidental and Negros Oriental provinces which currently are dependent on an old geothermal plant in southern Negros and coal plants from Cebu. In the May 2010 population census nationwide, Negros Occidental including Bacolod City has 2.9 million people while Negros Oriental including Dumaguete City has 1.3 million, or a total of 4.2 million people for Negros island. The average annual population growth rate of the two provinces from 2000-2010 are 2.1 percent for western or Occidental Negros and around 1.3 percent for eastern Negros. Assuming a similar population growth rate for 2010-2015, this means that this May 2015, the Occidental and Oriental provinces will have a projected population of 3.34 and 1.39 million respectively, or a total of 4.73 million, a big number of people. Currently, the people in the two provinces experience occasional power fluctuations with isolated "Earth Hours". Bacolod alone is expanding fast with lots of big malls, commercial centers and big subdivisions. The Silay-Bacolod airport may soon become an international airport. Its electricity need will be huge with those many big bright lights to guide airplanes landing and taking off at nights, serve the passenger terminal which must expand too. There are three renewable plants in Negros island. First, the Palinpinon geothermal plant in Valencia, Negros Oriental. It was commissioned in 1984 or 31 years ago, has an installed capacity of 192 MW. Old plants tend to suffer from frequent breakdown and low capacity factor. Energy Development Corp. (EDC) which bought Palinpinon from Napocor also commissioned a new, 49 MW geothermal plant in September 2014. Second, there is a new solar power plant in San Carlos City, Negros Occidental, 22 MW and was commissioned only in May 2014. But solar plants have low average capacity factor (actual power generation over installed capacity), only around 20 percent. At night, output is zero and on cloudy days, output is small. Thus, on average, that solar plant can produce electricity by 4-5 MW only. Third, there is a bioethanol power plant also in San Carlos City. But it is opposed by so many people because of the foul smell, reaching several kilometers away. The plant is using sugarcane bagasse. Even many priests who are pro-renewables oppose it. In short, the two provinces are deficient in power. They need some for big, base-load (can run 24/7 non-stop) power plants. They currently buy power from coal plants in Cebu so that they will not have daily brown outs. Figure 1. 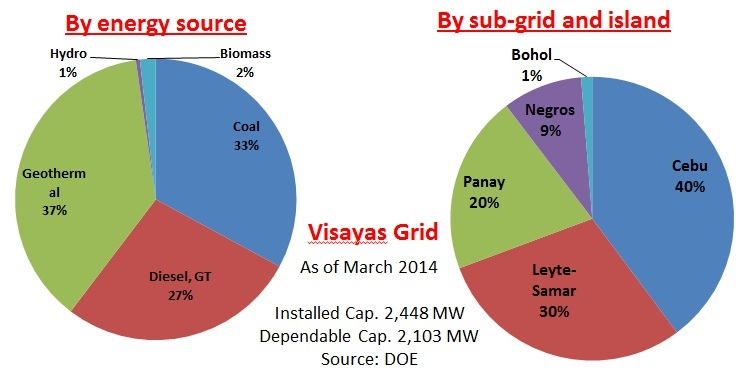 Visayas grid power supply by fuel source and by island, March 2014. There is huge supply of geothermal power in the Visayas. 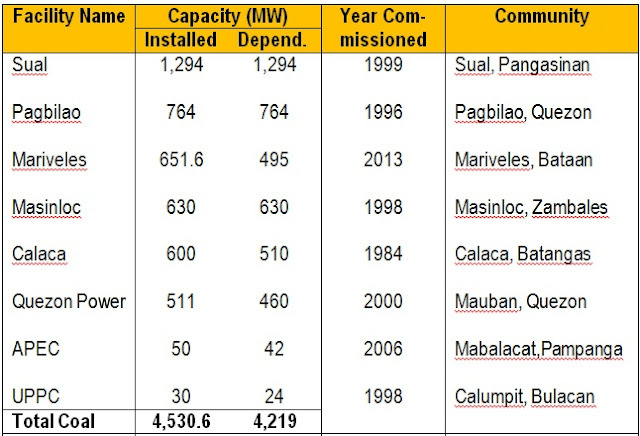 In particular, 723 MW in Leyte and 192 MW in Negros (Palinpinon), total of 915 MW. Some of the geothermal output of Leyte are sold to energy consumers in Bicol and southern Luzon. Biomass including bioethanol have installed capacity of 44 MW while hydro provide another 11 MW. Cebu, the industrial and commercial hub of the Visayas regions, is powered largely by coal and diesel power plants. Without these “non-renewable” energy sources, it is not possible for this central Visayas island and commercial center to sustain its business dynamism. Figure 2. Visayas grid coal and oil-based power plants as of 2013. While many people in Cadiz City, Negros Occidental, the future site of this 150 MW and first coal power plant in the island, are happy with this new development, some sectors are not happy with this news. Their main concern is danger to public health because of coal soot pollution plus threats of “man-made” climate change. Public health is a valid concern but very often, the fear of fictional monster of coal pollution is much larger than any real pollution. The anti-coal activists and campaigners, often influenced or hoodwinked by Greenpeace activists, are saying that communities that are close to the coal power plant are in danger of massive sickness if not deaths. If there fear and worries are correct, then there should have been tens of thousands of massive sickness in the municipalities of Naga and Toledo in Cebu, the host of the four coal power plants with a combined installed capacity of 642 MW or more than 4x the projected coal power plant in Cadiz City. In addition, there should have been hundreds of thousands more of sick and dying people in Luzon who live close to coal power plants. Like western Pangasinan with 1,294 MW; eastern Quezon (Pagbilao and Mauban) with 1,275 MW; northern Bataan with 652 MW; northern Zambales with 630 MW; eastern Batangas with 600 MW, etc. These five provinces plus Pampanga and Bulacan that host smaller coal plants have a combined installed capacity of 4,531 MW of coal power, or more than 30x the proposed coal plant in northern Negros. Figure 3. 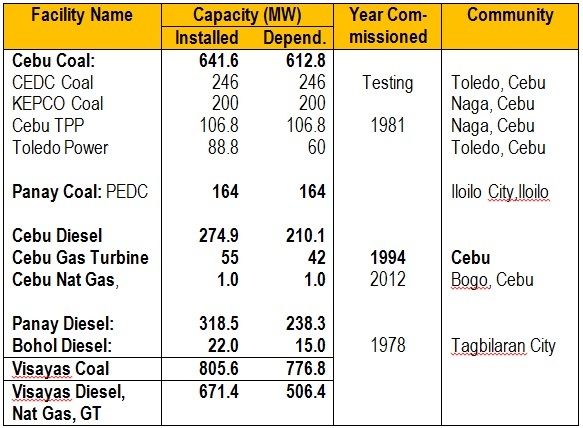 Coal power plants in Luzon, 2013. What can cause more harm and danger to people’s lives are the following: (1) frequent fires due to frequent use of candles or “gasera” when electricity is often absent; (2) frequent road accidents and crimes when streets are dark at night because electricity supply is unstable and the price is high; (3) various respiratory diseases because air-con or electric fans are often out due to insufficient electricity supply, and (4) poverty and joblessness because manufacturing, industrial and commercial centers are few, because there is unstable and expensive electricity. As the Visayas provinces and the Philippine economy in general grow faster, the need for more stable and cheaper energy sources also rise. Coal and natural gas can provide such energy need. The renewables like solar and wind can help but they are intermittent and unstable power sources. When the wind does not blow, when it is night time, their energy output is zero. They are also expensive, they require mandatory feed-in-tariff (FIT) and other subsidies, which means higher electricity bill for the consumers, to make them appear “viable” and "affordable". People should recognize the value of cheap and stable electricity supply. Emotionalism and exaggerated fear of coal pollution can cause unnecessary opposition to cheap and stable electricity. 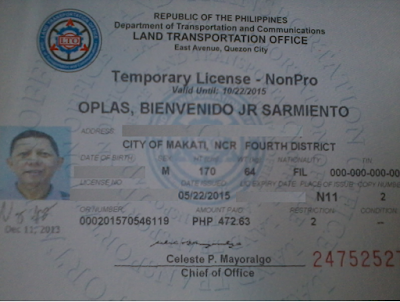 After my wallet was stolen by bus thieves 2 Wednesdays ago along with my driver's licence (DL) there, I got a new DL last Friday. 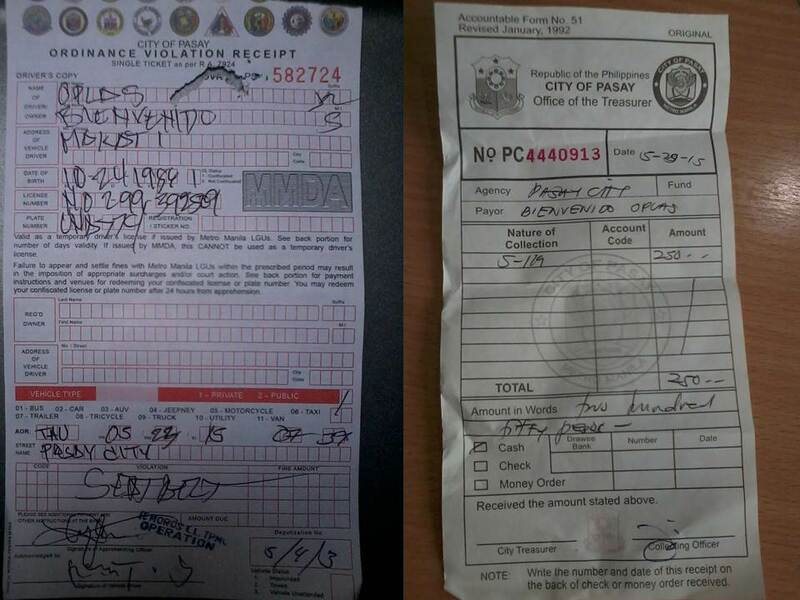 By Saturday morning, May 23, while driving at Roxas Blvd and turning right towards SM MOA, that new DL was confiscated by a Pasay traffic enforcer for a heinous crime of .... not wearing my seatbelt. Below left, the OVR he issued. Notice that he even signed the space for the motorist, he was probably rushing to get a "quota" of apprehensions for the day. 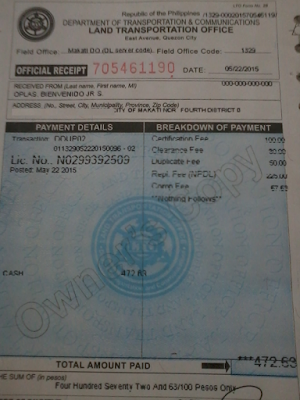 The receipt for P250 when I got back my DL yesterday. 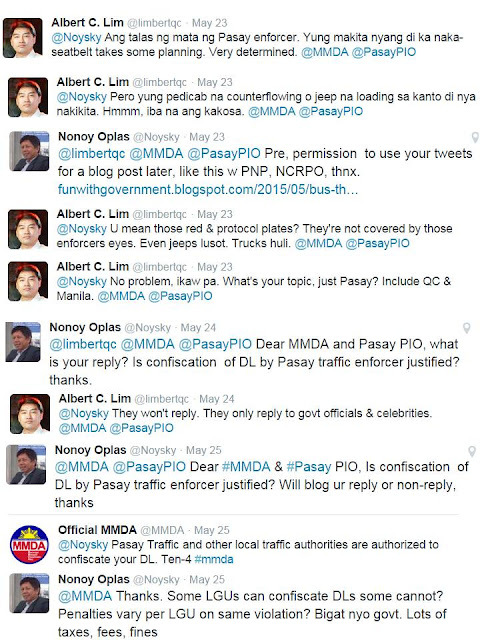 I tweeted MMDA and Pasay Public Information Office (PIO) that day, and the two agencies did not reply quick, my friend Albert Lim commented, below. The traffic officer's family name is Remoros . He looked and sounded unfriendly and arrogant, the usual faces and attitudes of many government personnel in frontline operations. So that if the public should plead with them, "pakiusap", they are hard to be approached and their extortion charge, if the public will persist with a pakiusap, their price is high. In my case that instance, I tried to plead with him as it's a minor case, he wouldn't listen. So I took his photo, he was aware of it. 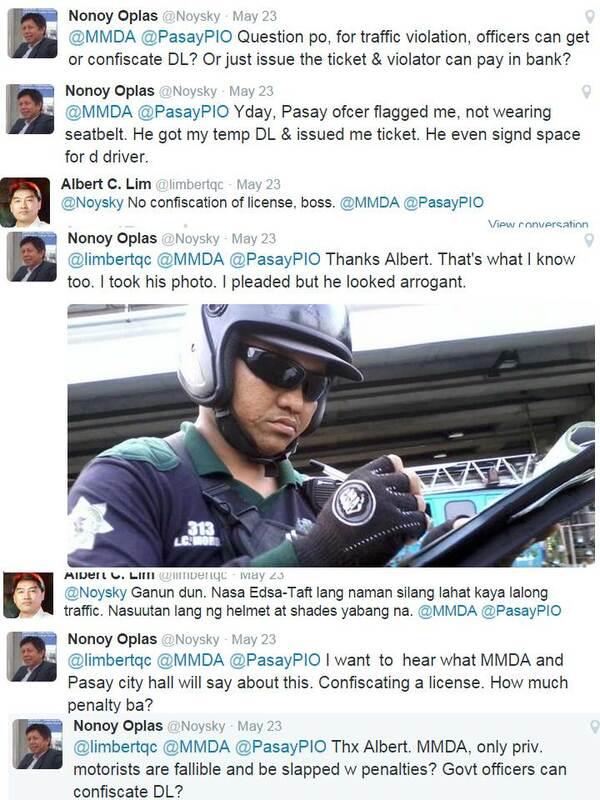 And his photo indeed showed the face of unfriendly and arrogant officer. Thanks Albert. 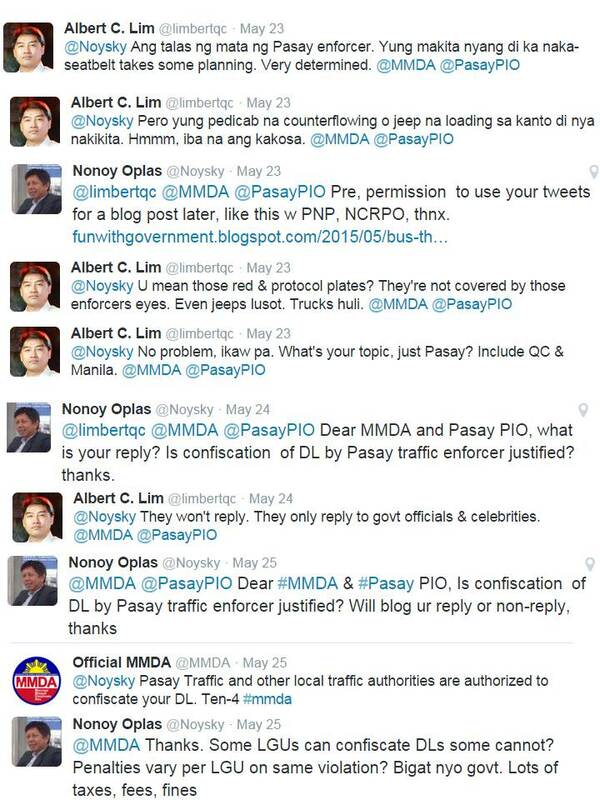 Meanwhile, Pasay PIO never bothered to reply. Maybe they are not interested in answering public concerns and questions, they are only interested in getting more money from the public. MMDA I remember last year or two years ago, went around in media explaining that confiscation of DL is no longer allowed. Apprehended motorists can just pay the fine/s in a bank. Now MMDA says some LGUs can confiscate DLs. In many cases, pabigat talaga gobyerno. We pay many taxes and fees already to sustain their huge and bloated bureaucracies, and we have to pay fines to them for minor issues, like forgetting to wear a seatbelt. 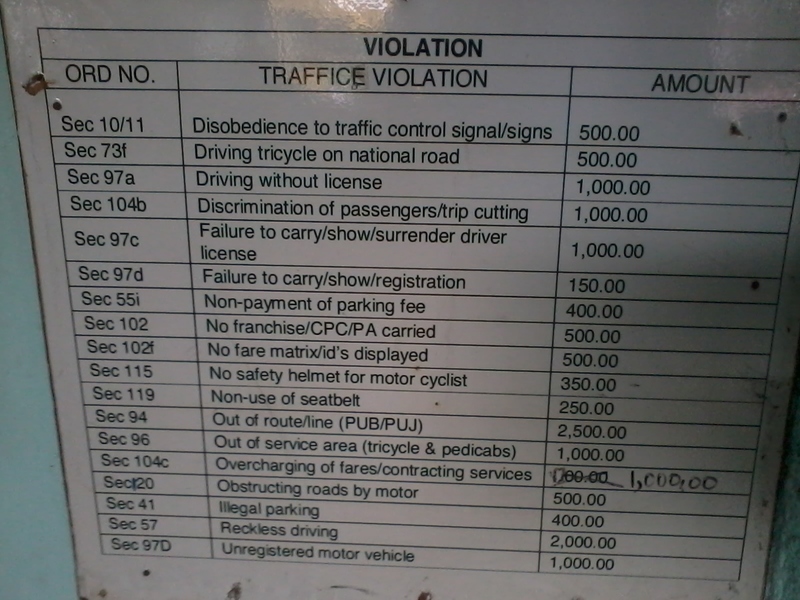 Below is the matrix of fines at the Pasay traffic redemption office. I took this photo while waiting for my name to be called. 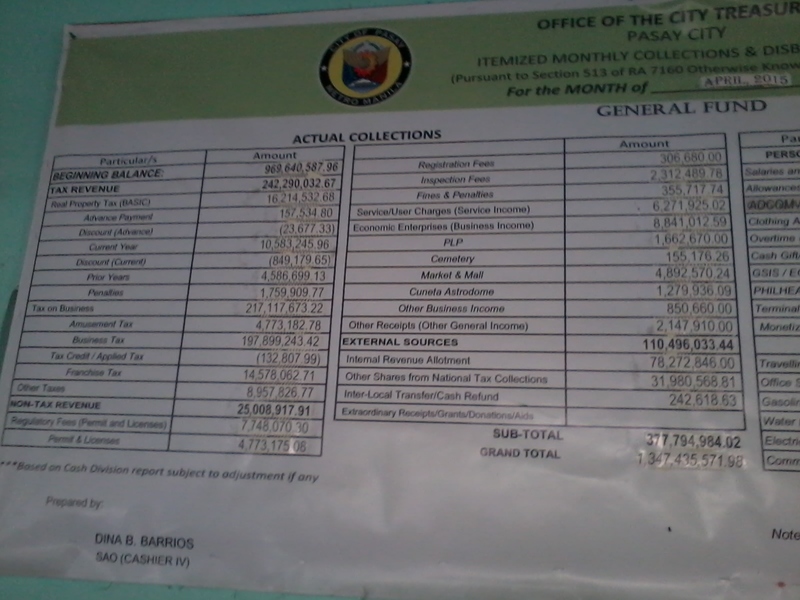 On another side is a huge tarp banner showing Pasay City's revenues and expenses for the month of April 2015. Here's the list of revenues. Notice substantial collections from fines and penalties. Hayyy, daming bayaran sa gobyerno. 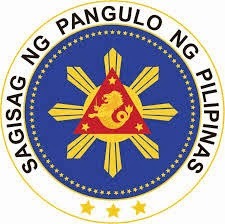 And they are not even the national government, local government units (LGUs). 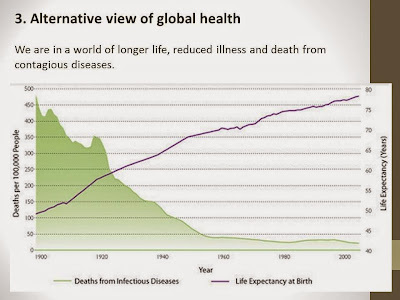 One more reason why governments -- local, national and multilateral/international -- should shrink significantly. China Watch 21, Is a War Between US and China "Inevitable"? 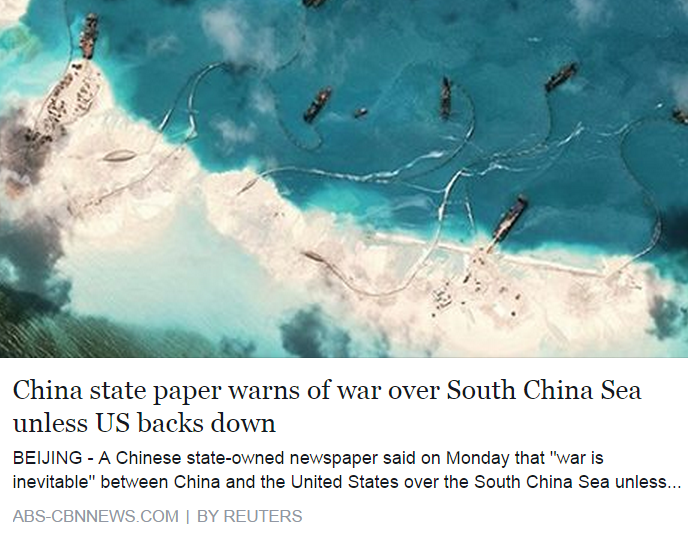 "War is inevitable" between the US and China. 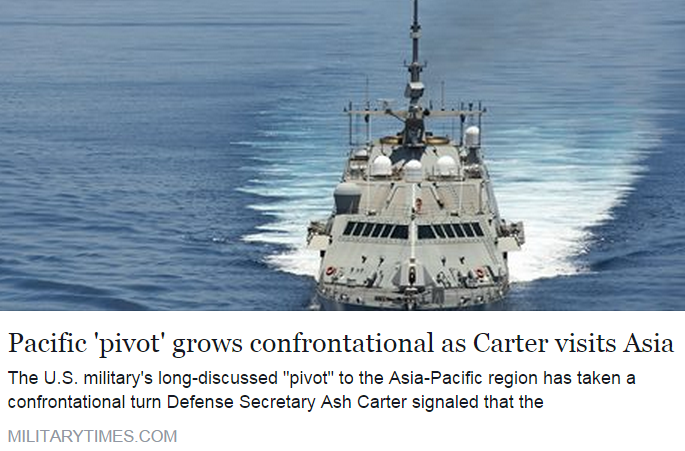 That is one headline used by a China government-owned newspaper, which was used and quoted by other national and foreign media. This exclusive report by the CNN has fanned such story. I do not believe such probability of course. It is s vintage 1960s headline that persists until today. 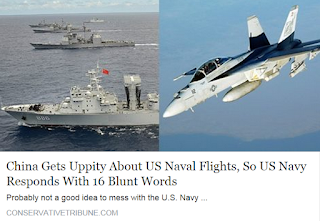 US vs Russia, East vs West Europe, North vs. South Korea, China mainland vs. Taiwan, etc. "If you don't buy these armaments, your national territory will be diminished, your mainland will soon be grabbed. So give us your money and we will send you armaments to stop this from happening." 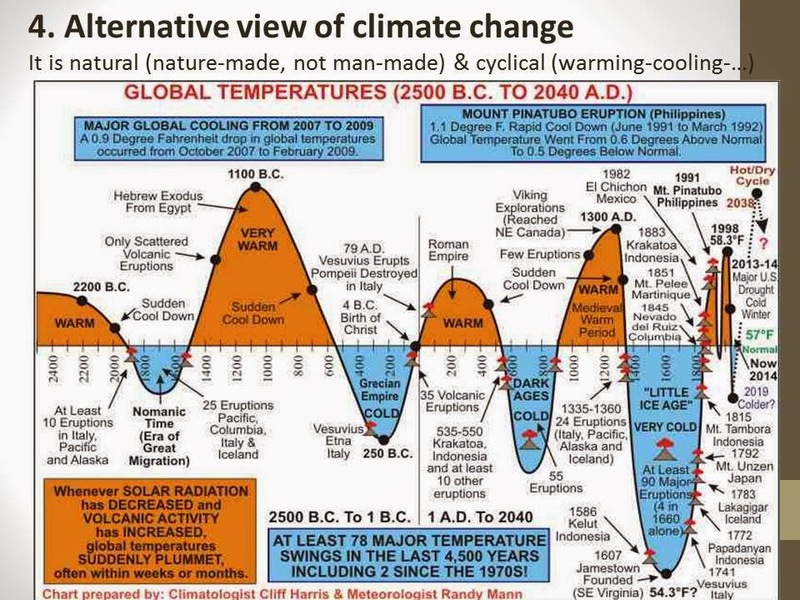 No different from climate alarmism. The UN, Al Gore, governments, WWF, etc. say, "Send us more money and we will save you and the planet from alarming, worrying, panicking, burning, submerging destructions." And that is how huge annual global climate junkets, multi-trillion dollars climate money, multi-billion dollars climate loans, thousands of climate bureaucracies, renewable energy cronyism, etc. were created. Keep the panic button alive, scare the public everyday, tell them that reason and diplomacy is inferior, only armaments and war mongering is superior. 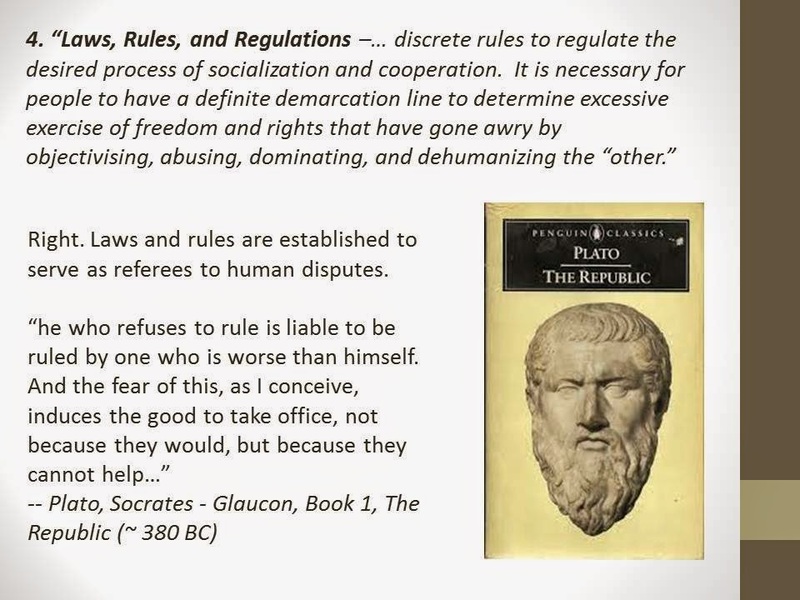 This works well for a commie government confronted with so many domestic problems, rebel regions (Tibet, HK, Taiwan, Uigur and other predominantly Muslim regions). By creating external enemies, real or imaginary, the commie government hopes to somehow sideline those internal problems and achieve national unity. People are rational, they respond to incentives. If there is much to gain from absence of war, then war is NOT "inevitable". Despite sooo many war mongering and panicking stories since the 60s, there was NO global or regional war in the planet after WW2. Only invasions by militarist governments, like Russian invasion of Afghanistan, Iraq invasion of Kuwait, US invasion of Vietnam then Iraq, etc. If we count the volume of investments and trade alone between US and China, that amount should be several times larger than any "projected gains after a war" scenarios. So many Chinese students, investors and visitors in the US, so many US investments, visitors to China and HK. But then again, I think some people derive pleasure and happiness that they can cause panic and alarm to the public and other governments. Between 2000 and 2014, Chinese firms spent almost $46 billion on acquisitions and new establishments across America, much of it in the past five years alone. By the end of last year there were 1,583 establishments by Chinese firms across the U.S., according to the report. 1. Many super-rich Chinese either have already left China, or one foot is still there but one foot is already in the US. 2. These rich Chinese still have voices and influence in the CCP leadership. I bet that many of them have relatives or family members in the party high echelon. Hence, they can influence the CCP via back channel. 3. And these rich Chinese in the US will also have some voices and influence in the US, through their US clients, suppliers and workers. Rationality will prevail. At the end of the day, China will be forced to abandon those artificial islands as the gains for keeping them via real war are too small compared to what China currently enjoy in global trade, investments and tourism (both inflows and outflows) with zero war. Another recent example -- the so much headlined "Russia invasion of Ukraine" many months ago. Thousands of headlines from many mainstream media outlets per month were coming out. ALL were false alarmism. There are so many avenues to pressure Russia and even Ukraine, from not going to war. The EU and US economic pressures were working. Russia lost a lot from "threats of war" alone, and it would lose more if it becomes "real war". People know that there is much to gain from zero war. I think that ultimately, China will abandon claiming territorial ownership of those shoals and artificial islands. The same way that Russia abandoned all those nukes and missiles stationed in Cuba, in Poland and East Germany, etc. 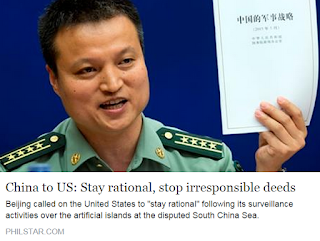 China knows that it is creating more enemies than friends now, and since people are rational, they will soon realize their irrationality. 1. Patrick: War is the health of the state. 2. Stephen: For all the talk, the money people know they will lose billions if real war breaks out. Loud voices and even a few shots, perhaps a few lives, is not war. a precedent is the China/India relationship. Artillery fire. Gun shots. Taking of territory...testing then retreat. None is leading to war. 3. Malou: Ok lng kumita sa atin US if they can get China to abandon the territories under dispute. 4. Bogie: yup. the war industry just need some excuses test their weaponry etc. Its just a play. 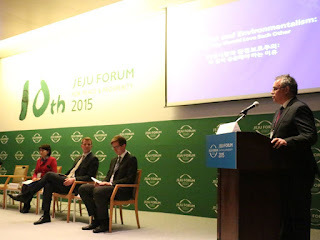 EFN Asia 48: Report on "Free Market Environmentalism"
Welcoming Remarks were given by Rolf Mafael, German Ambassdor to S. Korea, and Siegfried Herzog (speaking in this photo), FNF Regional Director for Southeast and East Asia, based in Bangkok, Thailand. - The world population stands at about 7 billion today. The UN predicts that by mid-century it will have grown to more than 9 billion. This will lead to an immeasurable growth in resource consumption and put significant pressure on the planet. If this trend continues then “business as usual” has to be changed in order to sustain further growth. - The Asia-Pacific region consumes more than 50% of the world’s resources and is responsible for more than 50% of world-wide emissions. - It is important to keep in mind that pollution “knows no boundaries”. 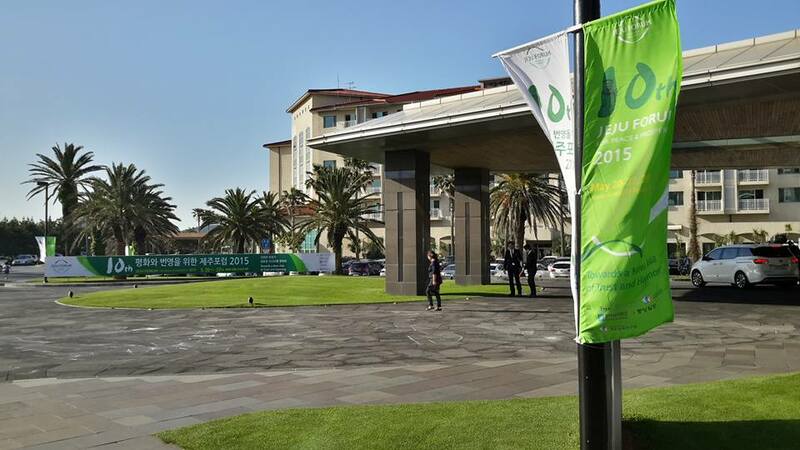 Therefore, environmental protection has to be viewed as a global concern that can only be achieved through international cooperation, using the most efficient means. 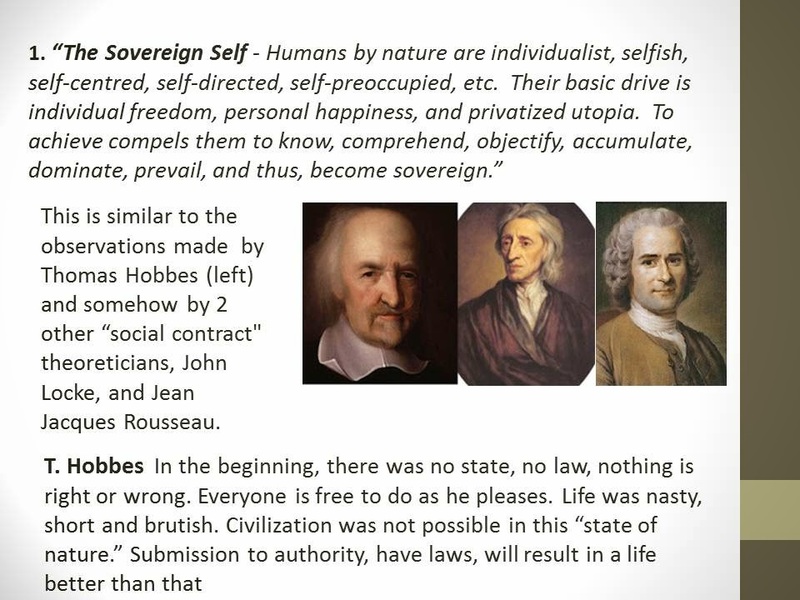 - The role of governance (e.g. through regulations or incentives) is very important in succeeding to protect the environment and bring about sustainable development. But lasting success can only be achieved if businesses embrace sustainable practices. 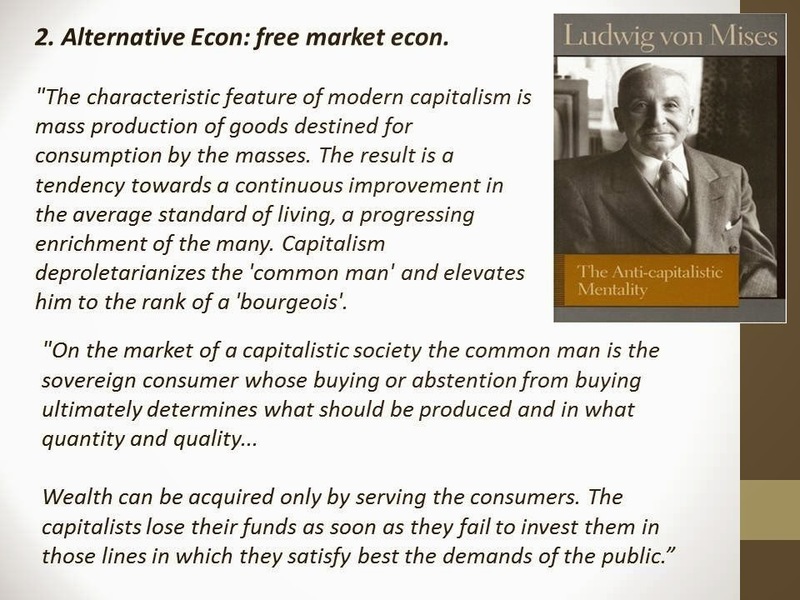 This is where free market practices come in. A good example is the European Union Emission Trading Scheme because it is an incentive for businesses to be more efficient and clean. - To achieve environmental protection solely through regulatory means can be problematic, for example in developing countries where extractive businesses (e.g. mining) are often state-owned. This leads to the government’s being both a regulator and an operator (through ownership) and therefore to a conflict of interest. - Environmental protection can therefore be better achieved by a market-based approach, meaning that businesses should be given the incentive to regulate themselves. Market forces compel businesses to become more efficient and less wasteful. This argument is supported by a recent study by the Heritage Foundation which shows the clear correlation between economic freedom and environmental protection. Economically free countries perform better when it comes to environmental protection. - Market-based approaches to environmental protection should be supplemented by regulatory measures only where it is necessary for governments to step in. * This is my article today in BusinessWorld Weekender. METRO MANILA keeps expanding, in terms of rising volume and number of vehicles, malls, shops, residential and office buildings, schools and universities. Public transportation is a big problem both for people who live in the metropolis and those who live in the neighboring provinces. While there are thousands of buses and three MRT/LRT train network existing and more are being planned, plus the proposed introduction of the bus rapid transport (BRT), they are not sufficient. And even assuming for the sake of argument that the BRT and extended MRT/LRT are already in place, people still have to take multiple rides to reach their destinations. In particular, those who live in Las Piñas-Parañaque or Fairview/QC areas. Here is what they will go through if they take the public transport system, one-way. (4) Ride jeepney or van to final destination. Four rides from house to office one-way, or three rides if #1 or #2 is eliminated. Going back home, another three or four rides in reverse sequence. If one is wearing corporate attire, and/or carrying a laptop and important documents and big cash, would he leave the car at home and endure the above 6-8 rides a day, 5 days a week? Some would say Yes, but many middle class and rich people would say No. And that is why many people bring their cars or motorcycles everyday and endure the traffic congestion, limited and expensive parking, just to maintain their poise, or at least not be exposed to bus holdups and snatching in the streets. And this makes public transportation very inconvenient, costly, and time-consuming. Riding a tricycle alone in formal or corporate attire looks unglamorous. And it is worse during the rainy season. The combined fare of those 6-8 rides a day would be equivalent to, if not higher than, buying fuel for the car. And that is why a “carless city” -- the next pioneering idea of city-living that is now the aspiration in Europe -- seems a far-out vision. Another proposal made by various sectors is to have more bike lanes and encourage people to ride bicycles. It looks and sounds fine, but not everyone is physically fit to ride a bicycle. Or people are not willing to endure direct sunlight and smoke pollution from jeepneys and buses, or endure the rains and floods during the wet season. There is an existing alternative to (a) multiple rides a day, (b) driving one’s car or motorcycle, and (c) riding bicycles -- the air-con vans. They ferry passengers from residential areas to different destinations, particularly Makati, Manila, Ortigas, Fort Bonifacio, and other major commercial and business districts (CBDs). With just one ride, at most two, instead of three or four rides. One problem here is that getting a franchise for legal operation is very bureaucratic and costly. A friend who operates and drives a van told me that a franchise legally should be less than P50,000 total. But with bureaucratic procedures, it goes up to P200,000 to P300,000 per unit. Check out, for instance, an online store of van franchises here. The same friend of mine who used to drive a colorum van for several years but now legal, told me the following, based on his experience. One, for “colorum” operators, savings from getting a legal franchise is reserved as bribes to certain traffic enforcers. He said that the highest bribe he paid a few years ago was P1,500 for a first offense. Drivers avoid apprehension but sometimes they like to be apprehended because they get to befriend the authority. Next time they will not be apprehended. But traffic officers need some “karinyo,” token gifts like a bottle of alcohol worth P300-500 on their birthdays. Two, these “colorum” operators cite four agencies they avoid: the Land Transportation Franchising and Regulatory Board (LTFRB), the Land Transportation Office (LTO), the Metro Manila Development Authority-Highway Patrol Group (MMDA-HPG), and LGU traffic enforcers. And three, with the higher P200,000 fine for the colorum vans, bribes are now said to range between P3,000 and P6,000, or even more for a first-time offense. But if it’s a joint operation by those assorted enforcers with the media in tow, then, no mercy, the P200,000 fine will be slapped. My office is on Buendia Avenue, Makati City, not far from the Ayala intersection. Every morning on weekdays, I see white vans unloading passengers in front of a building where I know a former senator lives. While these vans were mostly tolerated in previous months, I noticed that over the past two weeks, there were frequent, sometimes daily, apprehensions by officers identified with the Makati Public Safety Authority (MAPSA) who would then issue tickets to these drivers. Last Tuesday, May 26, I took photos of some of these MAPSA officers as they were issuing tickets to the van drivers. One officer, Rizaldo Capricho, did not like it, and soon he approached me and started arguing with me, saying I had no right to take photos of them without their permission. A Makati policeman dragged me to a van and I was brought to the Makati central police station. There is no law in the country prohibiting people from taking photos of public officers in public places. There was no cause or justification for bringing me to the Makati CPS, and yet I was there. They could not file any charge against me, so I was out after about 25 minutes. While it is the DoTC’s LTFRB policies that must be changed, to encourage and not restrict the expansion of legal air-con vans by reducing the cost and time of getting a franchise, I think LGU offices like MAPSA should be more considerate of those vans. They make no crimes, they render public service by bringing passengers to their destinations in just one or two rides, instead of the punishing three to four rides. The passengers are employees or clients of banks and other offices in Makati who pay various taxes and fees every year to the city government. These passengers are the very people who man the engine that is the Philippine economy. To help address the daily traffic congestion and inconvenient public transportation system in Metro Manila, the DoTC’s LTFRB and LTO, the MMDA and the various city governments should learn to step back from often high-handed and bureaucratic procedures in giving legal permits to enterprises like air-con vans. Less cars on the roads, less harassed passengers mean higher work productivity and longer work hours. Which are translated to more economic activities, more job creation for the people of Metro Manila. The various national and local government offices also benefit in the form of higher business tax revenues. 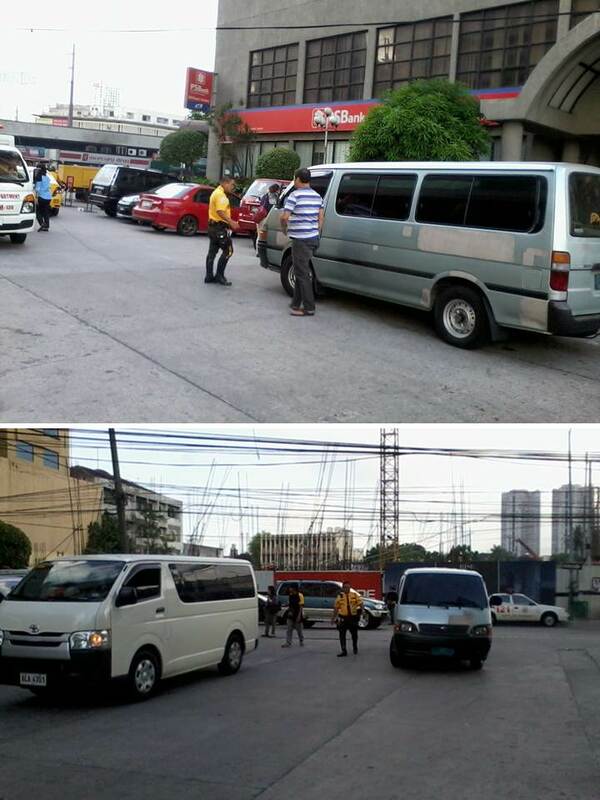 Last Tuesday morning, I saw vans being apprehended by some Makati Public Safety Authority (MAPSA) officers behind Phil. Axa Life building in Malugay St. Makati city. I took some photos with my mobile phone of those apprehended vans and some MAPSA officers issuing tickets to the drivers of the vans. Then one MAPSA officer, Rizaldo O. Capricho, came to me and prevented me from walking further and asked why I took photos, adding that I have no right to take his photos without his permission. I said that if he does not like being photographed, I can delete the photos in front of him. He said No, I should not delete and I should go with him to the Makati Central Police Station (CPS), about 200 meters away. I said he was harassing me, preventing me from going to my destination, he said No, and that I must explain myself to the police station. Then he called his fellow MAPSA officer to ask for a policeman to come. I tried to walk further but he would block me. Clear harassment. Later, Police Officer Ramirez came and suggested that I must go with Capricho to Makati CPS. I said fine, but I must call first some lawyer friends. Ramirez said “sa presinto ka na magpaliwanag” and dragged me to a van, I think one of the apprehended vans. I got in, along with officer Capricho. While inside the van, I was able to talk to my friend, Atty. Jim Asuncion, he explained to me that taking photos of government personnel is not a crime, I can file a counter charge later if I want. At the Makati CPS, Investigation Division, I asked him and the police officers there, what law, a Republic Act or Presidential Decree, etc. that prohibits citizens from taking photos of government personnel while they are doing their duties. Capricho and the police officers there cannot cite any. Capricho has also calmed down. I explained that my purpose in taking photos is to share in social media government personnel who do good things or bad things. The investigating Police Officer, Sergeant Alejandro, checked the photos in my camera, and I said you can delete those photos, and he did. Sergeant Alejandro then read to us the handwritten report he made, part of which said, “They also agreed to have no complaint each other…”, which both of us signed. I did not want staying long in that police office and wanted to go to my office. 1. There is no existing law prohibiting the public from taking photos of public officials and personnel in public places. Private citizens can claim right to privacy and sue for damages. But public personnel cannot claim such privacy right because they are expected to be under scrutiny all the time. The harassment by Capricho therefore, has no basis. 2. Under RA 7438, Article 286. 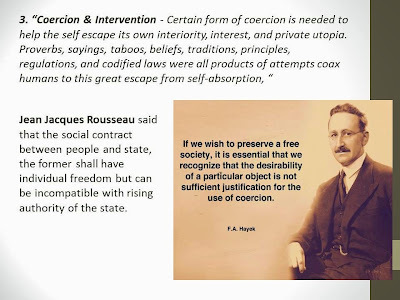 “Grave coercions. - The penalty of arresto mayor… shall be imposed upon any person who, without authority of law, shall, by means of violence, prevent another from doing something not prohibited by law, or compel him to do something against his will, whether it be right or wrong.” Capricho prevented me from going to my office, and Officer Ramirez dragged me to a van. I think officer Ramirez would deny that he dragged me, but I would not go to the Makati CPS if there was no pressure or coercion. I wanted to go to my office, not at the police station. 3. Same law, Section 2. “Rights of Persons Arrested, Detained or Under Custodial Investigation, Duties of Public Officers. – (a) Any person arrested detained or under custodial investigation shall at all times be assisted by counsel.” I went to the Makati CPS without any counsel, because of the harassment by Capricho and Officer Ramirez. 4. I think PNP Makati officers are aware that there is no existing law that prohibits the people from taking photos of public officers in public places. In which case, they should have explained to Capricho that there is no law violated, no cause for bringing me to the police station, but this did not happen. One officer even reminded me that next time, I must ask permission first if I must get photos of government personnel. I think that upon seeing that the complainant was a MAPSA personnel, the PNP had sympathy with him even if I did not violate any law. No detention as in being put behind bars, no handcuffs, and we were at the police station for maybe 20-25 minutes, then we got out. This thing therefore, may appear to be a “minor” issue. But as explained to me by some lawyer friends, those are serious coercion cases, illegal arrest, grave abuse of authority, serious human rights violations. Some friends advise me to file criminal or administrative charges against Capricho and Ramirez. But I recognize that it is cumbersome, time consuming and costly to file such charges. I don't have the energy and patience to pursue such option. I just have to warn the public because almost everyone now has a mobile phone, which has camera, and they take photos of anything that catches their attention. If they take photos of any public official, national or local, in a public place, they violate not a single law. So when another Capricho-type of officer comes to them and pressure them to delete the photos, or go with them to a police station, these acts are NOT proper and constitute human rights violation. 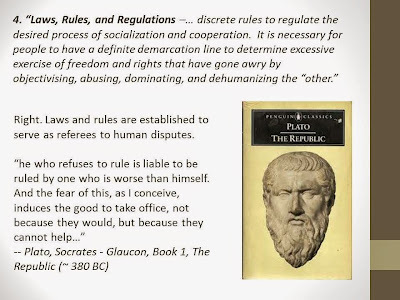 Government personnel themselves who are supposed to implement the laws become the law violators against citizens who commit no crime, no violation of any law. On Monday, June 1, there will be a Discussion on "Trans-Pacific Partnership (TPP) to focus on Intellectual Property and Medicines" jointly sponsored by MAG, AGAP and IDEALS, 10am to 3pm at the Alliance of Progressive Labor (APL) office in Quezon City. Resource Speaker will be Dr. Burcu Kilic of Public Citizen, Global Access to Medicine Program. She is also a Legal Counsel at the American University, Washington College of Law. I will attend it. I also asked the organizers if I can be a panel reactor, I just need an advance copy of her presentation or previous papers, then I can react/comment for 4-5 minutes after her presentation. "May not be" was the answer. Ok, but if they want a wider discussion, some contrary opinions must be heard in a more prepared presentation. 1. 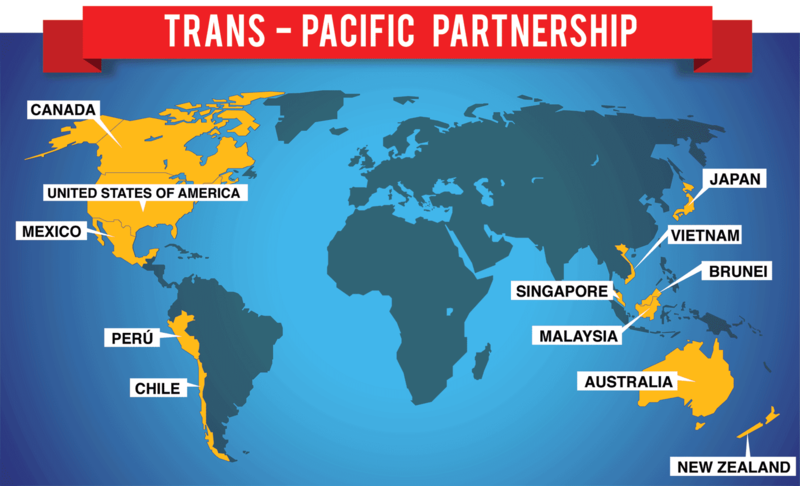 The PH is NOT among the invited countries in the proposed TPP Agreement. Of the 10 ASEAN countries, only 4 were invited by the US -- Singapore Malaysia, Brunei and Vietnam. Notice also that these other Pacific countries were not invited: Indonesia, Taiwan, Ecuador, Colombia, Panama, Costa Rica, Nicaragua, El Salvador, Honduras, Guatemala. China and Hong Kong should have been deliberately not invited by the US because they are, well, China. 2. Other Asian countries like the PH have expressed interest to join the TPP someday, but they are not priorities at the moment. 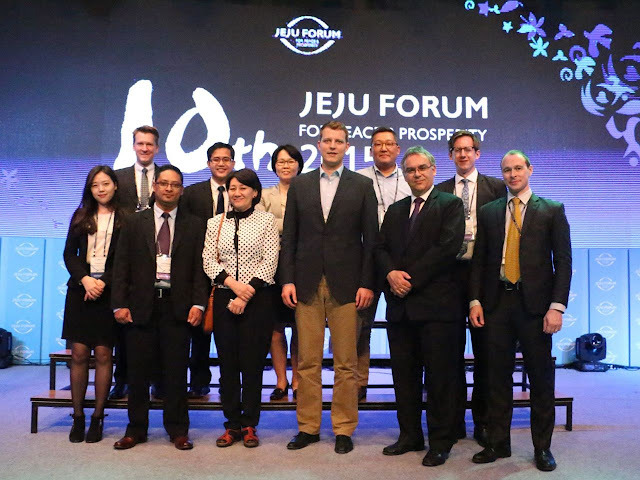 The priorities are to consolidate the final, common agreement among original member-countries. 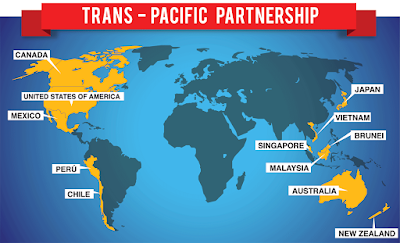 There is no formal TPP Agreement yet. 3. A lot of the noise and opposition to TPP especially on IPR provisions seem to be based on "leaked documents". I myself seldom read the official documents, partly because my advocacy -- and that of our free market allies in Asia -- is unilateral trade liberalization, not so much those costly and time-consuming regional and multilateral trade negotiations, and the PH is not part of this proposed agreement. 4. 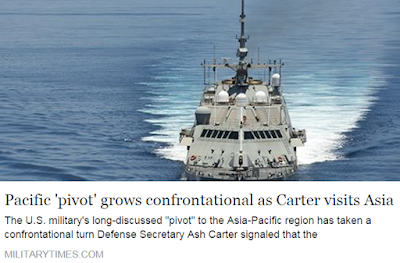 Medyo madami pang kakaining kanin ang Pinas, the PH need to mature more before it can be admitted to the TPP. Like it must amend its constitution to allow more foreign investments and competition into the country. Under TPP, Jollibee, Chowking, SM, San Miguel, Metrobank, Mercury, Unilab, other Filipino multinationals can easily invest in TPP member countries but those countries cannot easily bring in their companies to the PH because of our protectionist constitution. 5. Pharma IPR apply only to newly-invented medicines and vaccines, not to old ones. If people are happy with existing, off-patent medicines and vaccines because they are also disease-killers and are cheaper with many generics equivalent, IPR is a non-issue. The fear of "IPR and expensive medicines" apply only to a very small percentage of all medicines available in the market. Another fear, "IPR and limited/non-access to cheap medicines of developing countries" is an urban legend. As stated above, IPR protection does not apply to old, off-patent medicines, and these products comprise the majority of medicines in the market. Up to 99 percent of the WHO's essential medicines list (EML), if my memory is correct. Some anti-IPR paranoia can be likened to desiring new models of mobile phones. There are so many smart mobile phones in the market that are also cute, wifi ready, have camera and radio and yet cheap. But if people want the latest models of iPone or Samsung, they should be prepared to pay more, and not cry or rally to "abrogate IPR of new iPhone and Samsung models" to make them cheaper. This afternoon, I was one of two reactors to a presentation of a new paper made by the Penuel Group on "Alternative Economic System." The other reactor was Men Sta. Ana of the Action for Economic Reforms (AER). 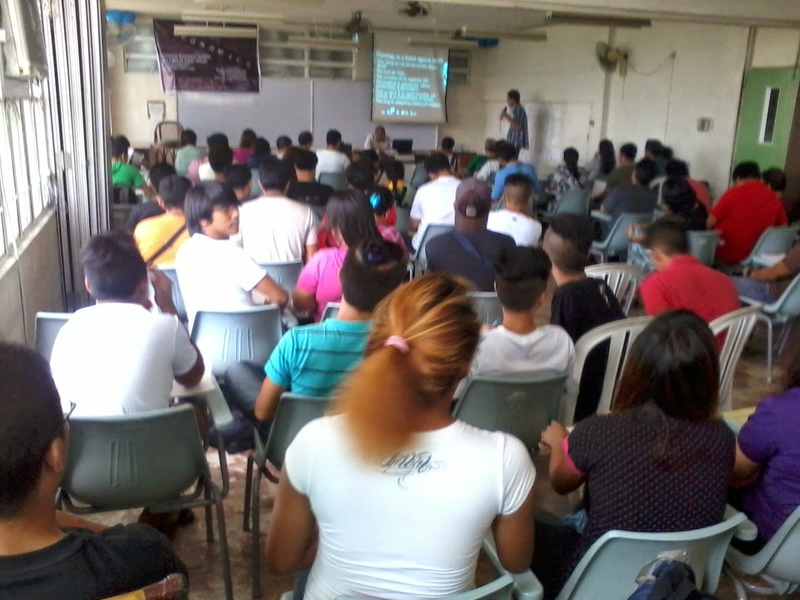 Good audience, from different Catholic religious groups and NGOs. I thanked Arcy Garcia for the invite. The numbered items and in italics are from the paper by the Penuel Group. Then my brief comments plus relevant quotes from various thinkers. 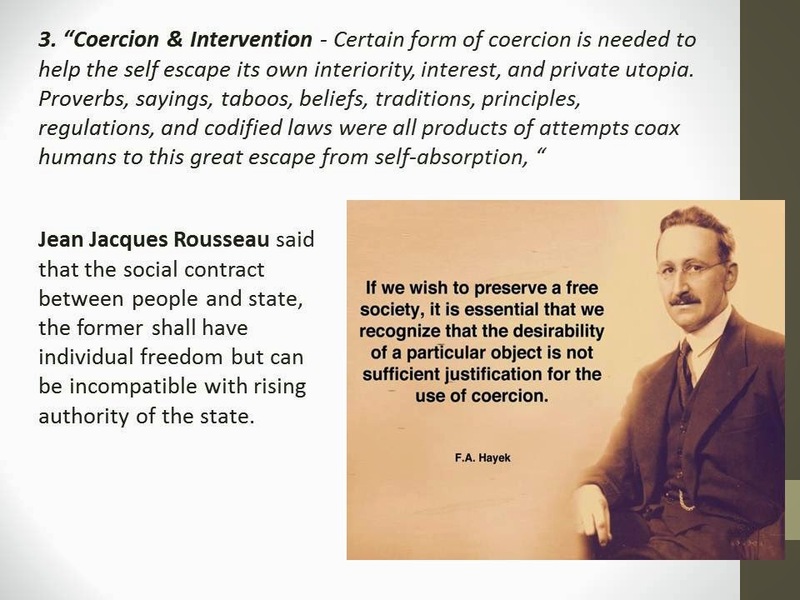 Coercion invites rebellion, today or tomorrow. Thus, failure of coercion after sometime. 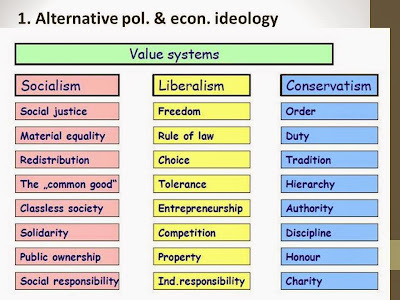 The Penuel paper somehow failed to present clearly what is the "Alternative economic system" that they propose after discussing at length their critique of the market system. I mentioned four alternative areas. 1.Despite all the warts and imperfections of the planet and its people, we are living a world of rising and continuing prosperity. 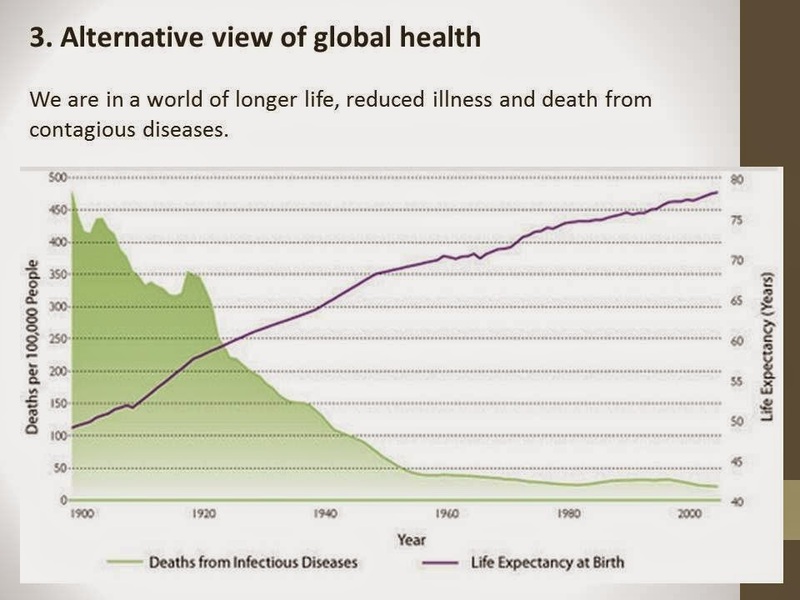 Rising life expectancy, fewer deaths per age bracket compared to past decades. 2. The planet is not ending soon in a collapsing-burning-flooding-submerging scenario. Climate cycle is cool. 3. 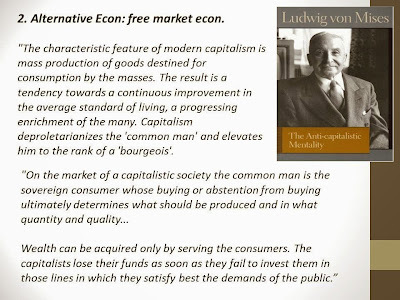 Free market means free individuals. 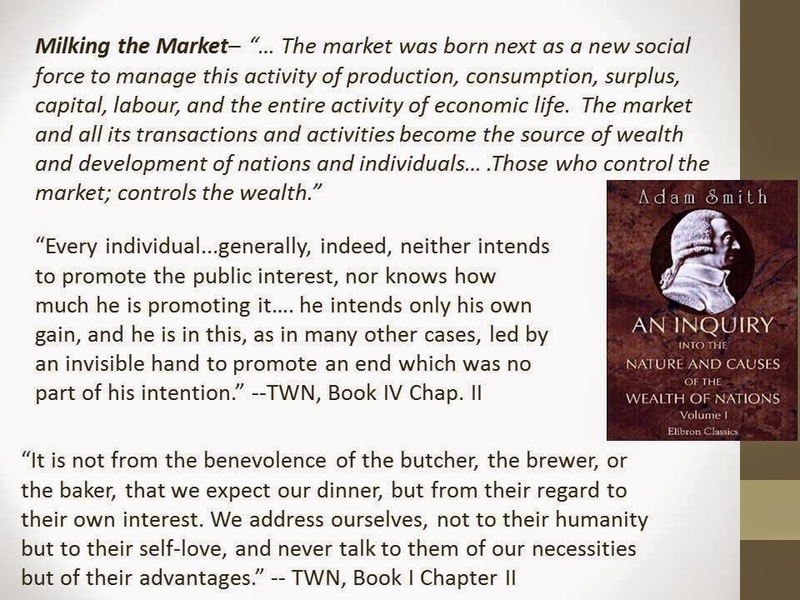 All markets are composed of individuals, young and old, men and women, ;rich and poor, producers and consumers. 4. Alternative econ system is one away from big and intrusive government but towards small, minimal government, and maximum civil society of mature, volunteerist individuals. The 15-slides presentation is posted in slideshare. A friend and fellow UPSE alumni, Gary, posted in our SE alumni ygroups, a crowd-sourcing of reform agenda for the next President in 2016. He asked us to suggest top three economic initiatives that we believe would be real game-changers for the country. They could be new reforms, or reversals of current policies. Can be outrageous as long as they're not just motherhood and apple pie statements (like "build more infrastructure"). 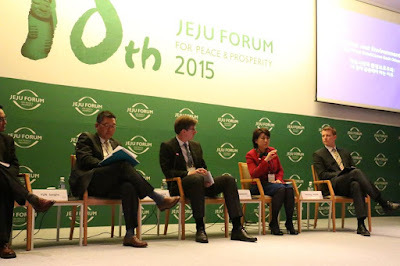 Also explain the world view behind them and practical action agenda to make them happen. i. Amend the Constitution to allow totally unrestricted foreign economic participation (investment and labor). ii. Abrogate land reform and redirect the buy-out funds elsewhere in agriculture. iii. Abolish the minimum wage (or at least allow people to opt out). The underlying worldview: The PH now enjoys good macro and fiscal fundamentals thanks only to four reasons: OFW's, BPO, EVAT reform, and a conservative BSP. The problem is, all that liquidity does not automatically translate into productivity gains, which by any economic theory is the only way to enlarge the economic pie instead of just endlessly redistributing it. My suggestions help us get there. Action agendas: On (i) Charter change in any of its possible forms. On (ii) and (iii), legislative initiatives backed by a lot of media campaigning and political lobbying. And, hopefully, adoption into a campaign platform and/or governance agenda. I support Gary’s 3 proposals. Have LESS government restrictions and prohibitions, it should NOT restrict (1) foreign investments and competition, (2) big land ownership, especially corporate farming, and (3) free contract between employers and employees. 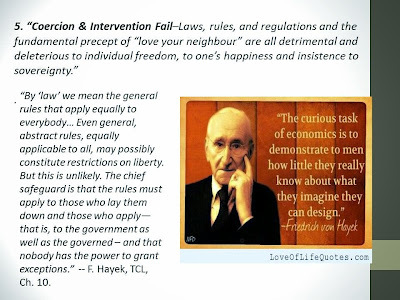 Investment (and trade) protectionism, endless and no timetable agrarian reform, endless government-imposed minimum wage -- all are social engineering by lovers of big and intrusive government. 1. Cut income tax, personal and corporate, max 15% or 18%. Indonesia’s President Jokowi has joined tax competition in Asia, they cut their income tax from about 25% to 17% (Singapore level). 2. Unilateral trade liberalization, both goods and services. In rice trading in particular, remove NFA marketing and trading function, regulatory function only. Privatize its huge and many warehouses, trucks, etc., proceeds to be used to reduce its huge public debt. 3. Abrogate or significantly amend the Renewable Energy (RE) Act of 2008 (RA 9513), the renewables cronyism law. Extortionist provisions like the feed in tariff (FIT) and renewable portfolio standards (RPS) should be removed. The PH has the 2nd or 3rd most expensive electricity prices in Asia, the RE law will make it even more expensive. Example of how stupid that law is: Say midnight of any day, coal power plant will offer power at only P0.50/kWh or even less for a few MW, then wind power comes also with FIT or guaranteed minimum of P8+/kWh. The national grid (NGCP) is forced, coerced and arm-twisted by the law to dispatch power from expensive wind and turn down the cheap power offered by a coal plant. Wind and solar power are cronies (solar FIT is P9+/kWh). Some LGUs have dark streets because electricity is expensive. And we know what often happens when streets are dark -- more vehicular accidents, more crimes, more death and injuries to people. These are real dangers to people’s lives and their properties, more real dangers than that far out “man-made” climate change of more rain and less rain, more flood and less flood, more storms and less storms, more dogs and less dogs. 1. High local taxes and fees. I saw a business permit of a start up, small office in Makati. 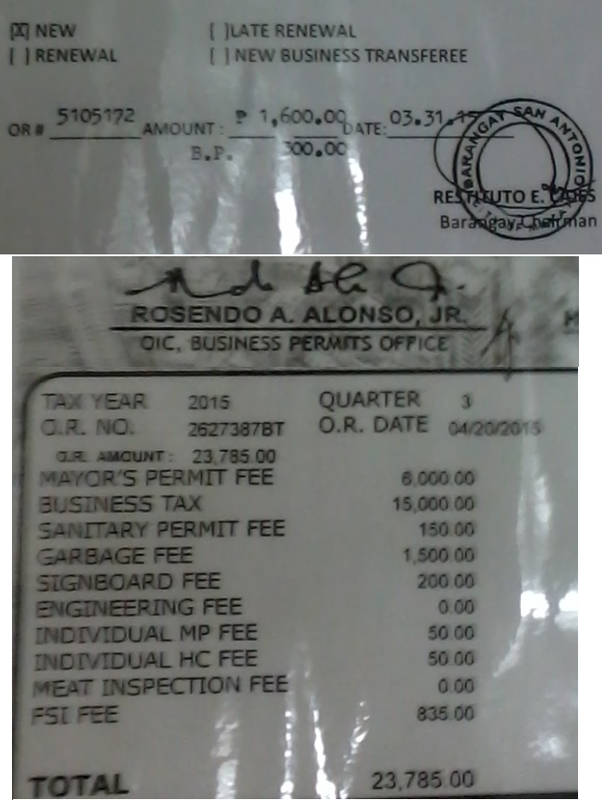 Above photo is barangay permit + business plate, P1,600 + P300, total P1,900, barangay alone. Lower photo, Makati City Hall’s permits and fees, P23,785. Not included are BIR, SSS, SEC, other. fees. Also not included are rumored extortion by some LGU officials if one does not know enough high officials inside. The business has not started yet and the taxes and fees are already high. Then when the enterprise starts operating, there are monthly payments to the BIR, SSS, PhilHealth, PagIBIG. 2. Lots of Nos and Prohibitions. 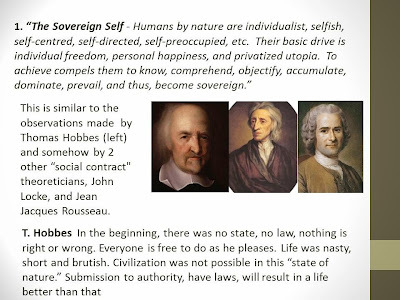 Which are signs of a lover of BIG government. Vans that bring ordinary office workers from their houses to Ayala avenue are being apprehended left and right. These people have no cars, or may have cars but are tired to drive in heavy traffic. The alternative is 3-4 rides from house to makati, one way, meaning 6-8 rides a day. If one wears corporate attire, or carrying a laptop or important documents, then ride a tricycle, then jeepney or bus, then squeeze in another bus or MRT, then take another jeepney ride. Repeat the ordeal going home. The aircon vans ("colorum" daw) are market solutions to the hassles of driving in heavy traffic, or taking 6-8 rides a day. Yet many of these vans are prohibited and are flagged down, harassed and penalized. 3. Many lousy welfarist programs advertised in Ayala pedestrian underpasses -- free movies daily, free vitamins, supplements, monthly, etc. for senior citizens, Rich or poor can avail of these welfarist programs. Compare #1 and #3, over-taxing people and entrepreneurs even if they have other personal and household needs, part of the money to be used for movies and free vitamins even if the senior citizens are economically well-off. 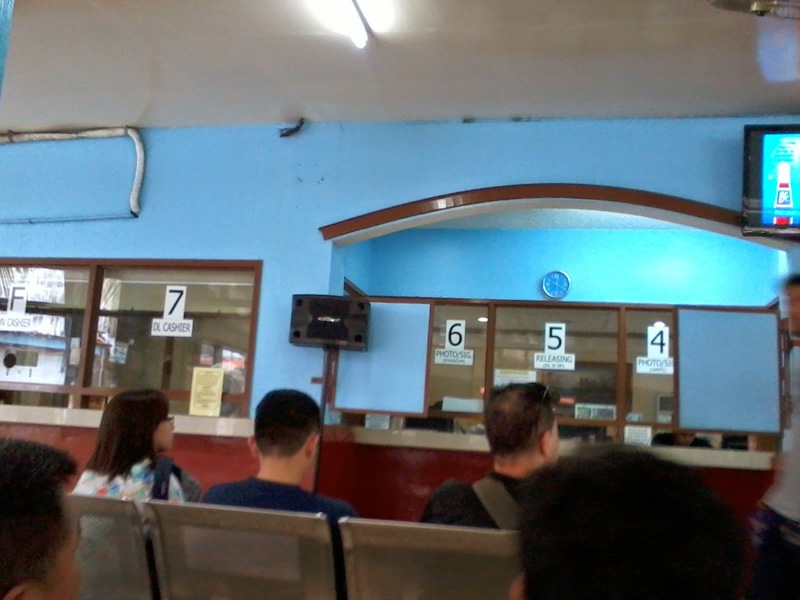 I don't understand what is really happening at the LTO, DOTC and Sec. Jun Abaya. 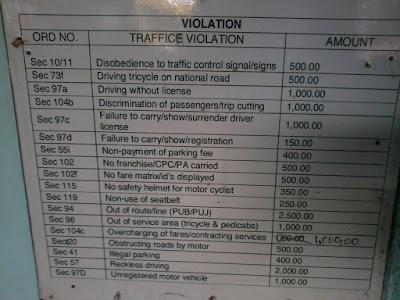 You bring your car for the mandatory annual registration, (a) No car stickers, (b) No car plate available, And if you get a driver's license (DL), (c) No DL available, only a temporary paper license, and you pay P473 for it. I covered my address, DL no., date of birth. When I asked one LTO officer when they will give that small laminated plastic DL, he said "mga 3-4 months po sir, balik kayo." hayyy, dagdag abala naman yan pabalik ng LTO. Here's a breakdown of the P473 payment. I asked them also when they will release the new car plate. Last month, they said "after 3-4 months" meaning by July or August. Yesterday, one staff said "mga August-September pa po sir." 1. Car stickers, about P50. All paid for by motorists and car owners, all not available. Ano ba nangyayari dyan Sec. Jun Abaya? First time yata nangyayari ito, at mag reflect kay boss PNoy mo ito. In the private sector, there is often over-supply especially if the sector or sub-sector is under fierce competition. That is why there are many "eat all you can" restaurants, "buy 1 take 1" shops or "weekend madness sale" malls, cheap mobile phones, etc. Entrepreneurs and suppliers anticipate demand, so they supply a lot in advance. In contrast in government, like LTO-DOTC, supply is far far behind. Notorious inefficiency, or outright competition for robbery among factions in some government agencies. Plus slow MRT trains, often malfunctioning train air-con, despite the fare hikes. Plus crowded airports and things that are government-owned and operated. Good that buses and buslines are private. Otherwise, there would be shortage of buses, very crowded bus stations everyday. I waited almost 2 hours at LTO Makati to get this temporary DL It was fast at the beginning, then slowed down later, especially in the picture taking and signature (window 4), then payment/cashier (window 7), then getting the temporary DL (window 5). My original DL I lost to bus thieves last Wednesday who stole my wallet. 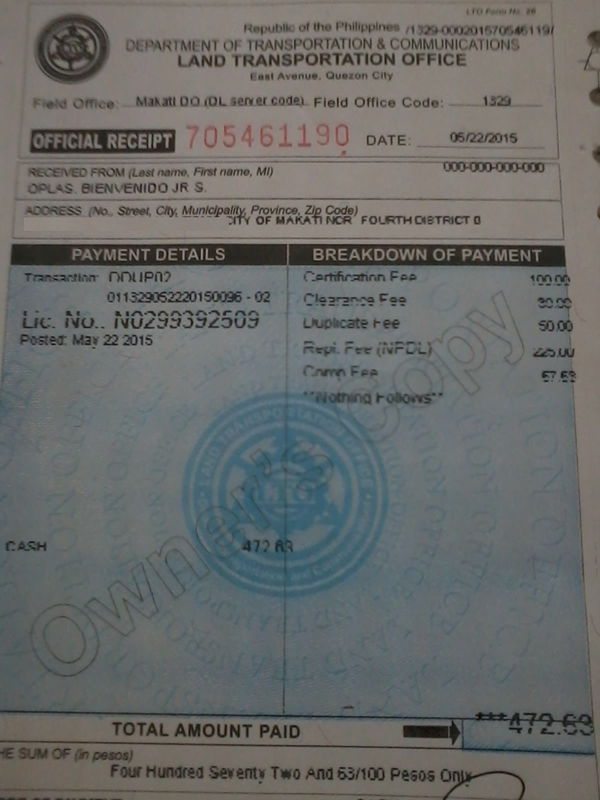 A consolation that the LTO could have done, is to extend the expiry of the new DL that they will issue. My orig DL will expire in 2016. The temporary DL they issued will also expire in 2016. They could have made it May 2018 for a full 3 years DL. They did not do it, thinking that they will get more money from me and other driver's next year. Comments from friends when I posted that temp. DL and my initial observations in my fb wall. I did not ask permission from them to use their comments, so I am only giving their first names -- all are real people, not fictitious. Readers should focus on the ideas and sentiments, not the identity of people. 1. Bayani: they simply refuse to improve. 2. Manny: A simple agency to manage if only it is not a money-making machine for crooks! We need to privatize a lot of govt agencies and lessen govt intervention on our lives!!! 3. Paul: makapal ang mga pagmumuhak ng mga taong yan, wala silang pakialam, nasa pilipinas kasi. kaya abusado ang mga taong yan. 5. Waltzing: PDAF may budget ninanakaw. You paid all the fees. No ID?available? 6. Jorge: Abaya us running for the senate ano kaya ang gagawin nya? 7. 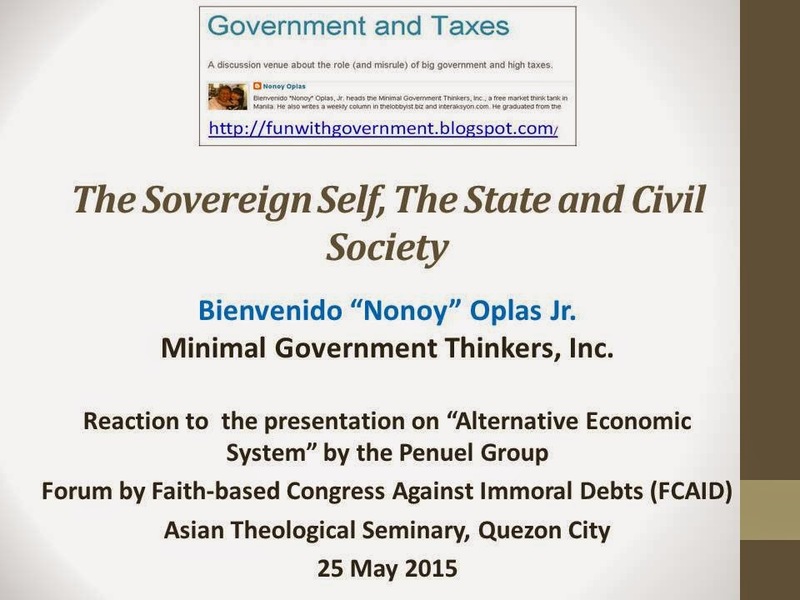 Ricardo: This is the noynoy-brand of decay. Tuwid na daan indeed. Abaya, de lima, et al are all running for senate in the hopes of gaining immunity from suit for the anomalies they did that will all surface after 2016. 8. John: They should break up DOTC, merge the transport units with DPWH and create a DICT. LTO should be merged with LTRFB. 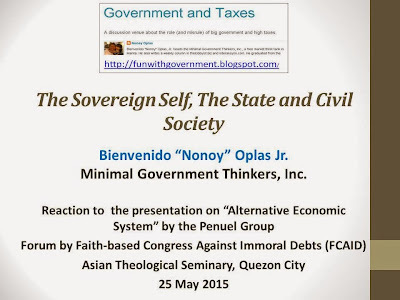 Remove developmental mandates from CAAP and PPA and make them purely regulatory agencies. 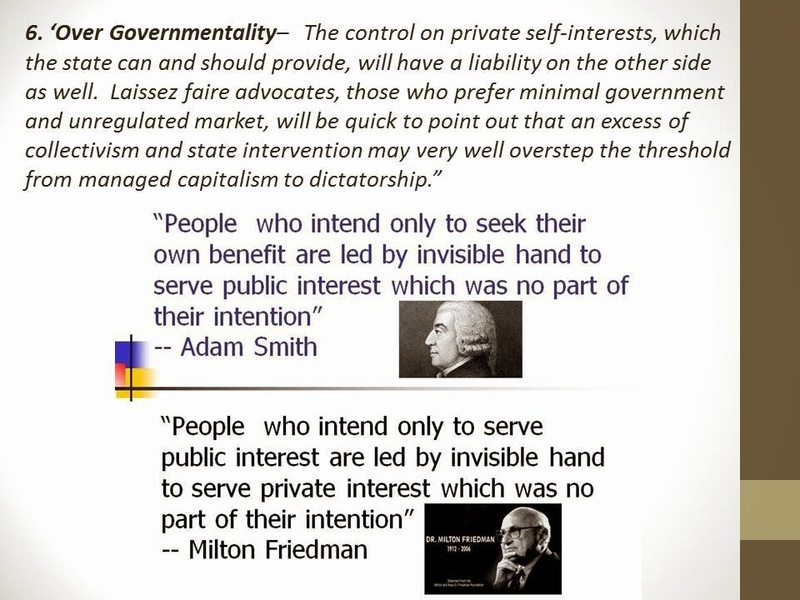 Outsource or privatize everything that is not regulatory in function. 9. Leo: Jun Abaya has got to be the most incompetent DOTC Secretary in its history. 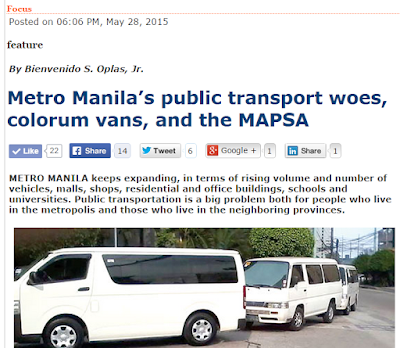 Nearly all the major visible public-affecting problems, e.g., MRT, LTO, LTFRB, are in his department. And despite his gross incompetence he's still there, continuing to wreak major damage to the institution and the nation. 10. Casey: Registered two cars last February. No stickers, no plates, until today. That happens when incompetents appoint other incompetents.or criminals. Look what happened at MRT. Something that never happened in 40 years. A foreign company accused the MRT crook of extortion. A foreign ambassador even came to testify about it, something never seen before. And what happens? Nothing. A huge black mark. 11. Stephen: Ricardo, I hear what you're saying. As I did some reading in media reports I learned that the company that has been making the drivers licenses was awarded the contract in the mid 1980s. I presume, but admit that I am unclear, that the contract was awarded under Pres. Marcos. It expired at the end of 5 years, but no previous administration did anything about getting a new contract. So LTO just kept paying the uncontracted vendor. It is only now, under this administration that a real contract is being achieved. Not surprisingly that is not an easy process. Casey: If they cannot even contract licenses and plates, can they do anything useful? Stephen: I am as frustrated as anyone and agree with your view. According to media reporting, LTO wants to bring the production "in-house." This is causing problems - they say - to get the printing/production machines in each of their offices. And... I am told... to overcome 25 years of comfort with the way things have been done by every administration since the mid 1980's. I don’t condone the state of affairs but merely write what I hear and read. Nonoy: One possibility, DOTC keeps paying the vendor then sues it for inability to deliver the goods, a clear breach of contract. DOTC gets even with money then get another contractor/s to supply all the backlog. DOTC shd be ashamed of these things happening. 12. Edwin: Jun Abaya is just a mere shadow of Mar Roxas - walang sariling dsisyon yung mama. Kailangan dumaan lahat kay Mar. The DOTC Action Center was converted into a Kayo ang Boss ko Action Center run by Mar Roxas people. 13. Leo: The number one rule of this administration: if Noynoy likes you, you can do no wrong. If he doesn't like you, you can do no right. How many YEARS does it take to renew, rebid or otherwise change a contract? Does it take 5 years?????!!! Stephen: If media reports are accurate, its more like 25 years. Thats about when the last contract expired and nobody did anything about getting a new one til now. They just kept paying the old vendor. Same story, by the way,with some other services and other agencies and 1980's era contracts. Nonoy: If DOTC's hand is tied in an existing contract, it can sue the contractor for failure to deliver the (a) car stickers, (b) car plates, (c) driver's licenses. The inconvenience to the public -- asking ALL of them to call LTO or come back after x number of months, and come back again after the specified period, the image of incompetence of the PNoy administration, etc. are huge damages. But I think Jun Abaya is part of all these incompetence or scam. The LP should remove him from DOTC quick -- if the party is serious in stamping out corruption and inefficiency within its ranks. 15. Edison: noong huli ako nag-renew ng akin Driver's License mabilis kuha mo agad ang yon card type license matagal na yon 2 hours balita ko nga ngayon di mo makukuha yan ganyan muna issue nila babalik balikan mo pa yan bakit pauron nag paurong ang systema natin akala ko doon na mismo sa Branches ng LTO Print na nila ang Driuver's Lincense mo para kuah mo agad alam ko panahon ni marcos yan bakit bumabalik pa sa ganyan that PNoy called Tuwid na Daan bakit bumabaluktot pa dati tumagal din kasi daw panget ang INk sa pagprint ng License cards nagpalit na ng supplier ng ink ok na tapos ngyon yan ano naman ang dadahilan nila. Papaano mapatutupad ang NO Plate No travel Policy ng LTO kung ang tagal naman mag-release ng Plate Number dami tuloy naguguluhan. 16. Francis: Abolish the LTO and DOTC. Let car registration and driving lisences be issued by vehicle vendors and insurance companies on the agreement that if someone they guarantee gets into an accident, the dealer or insurance company pays through the nose. How many bad drivers have been certified by the LTO, DOTC? How many injuries and fatalities are they responsible for? Why are they not liable? Because they are government and government is magic. 17. Kika: Ang Nakakainis diyan is that I had to go to the U.S. and I only had the receipt. I couldn't drive! Hassle!